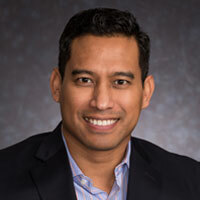 As director of information technology, Bing Paesang is responsible for the development, facilitation and management of the company’s information technology program, training, and resources. Prior to joining LeChase in 2014, Bing spent more than 20 years in diverse IT disciplines leading the development, deployment and support of global enterprise application systems, business intelligence, infrastructure and information security frameworks across a variety of industries. Bing has a B.S. degree in applied mathematics from the Rochester Institute of Technology, and actively participates in various construction industry and information technology focused groups.